Suneeta Peres da Costa was born in Sydney, Australia, to parents of Goan origin. Her debut novel, Homework, was published internationally by Bloomsbury in 1999. She has made contributions to Australian literature as an editor, critic and teacher and freelance writer for the Australian Broadcasting Corporation, The National Gallery of Victoria, Sydney Review of Books and the University of Technology, Sydney, among other organisations. Her literary honours include a Fulbright Scholarship, Australia Council for the Arts BR Whiting Residency, Rome and recently, an Asialink Arts Creative Exchange to India. In conversation with author Jessica Faleiro, she discusses her latest novel Saudade (2018, Giramondo). Jessica Faleiro: Thank you for taking the time to talk to me about your latest work, Saudade. This is a coming-of-age story of Maria-Cristina, told from her point of view of growing up against the tumultuous political backdrop of pre-Independence Angola while still under Salazar’s rule. Much more interesting to me, and taking up a significant portion of the book, is the mother-daughter relationship between the narrator and her distant mother. You portrayed it largely through this constant watchfulness that the daughter had, towards her mother. I found it fascinating. Could you please tell us about your choice to portray your protagonist’s gaze towards the mother in this way? 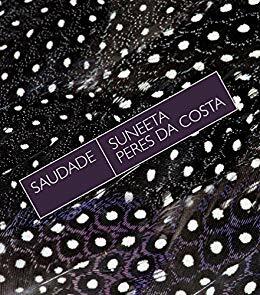 Suneeta Peres da Costa: Jess, it’s my pleasure and thank you to Joao Roque for giving space to Saudade and Goan writing. I love reading the journal! The story begins just before 1961. Maria is then aged just three or four and her gaze upon her mother is adoring and uncritical. There is a dance of gaze and voice because Maria does not speak; nothing appears to inhibit her power of expression, she is happy to simply listen to her mother’s voice. Her mother speaks Portuguese (which Maria understands) and Konkani (which she does not). At one moment, Maria perceives racism in a casual remark she makes about Caetano, a black servant who is a teenager (incidentally, Caetano calls Maria’s mother, Mummy). The meaning of her mother’s words seeps into her consciousness, causing an emotional rupture. I think Maria’s watchfulness as you describe it has a lot to do with the hypocrisy she perceives, an intimation of violence inside and outside the home, anxiety about who might protect her, and what the cost of that protection might be. In her vigilance, there is also a self-consciousness of her separateness. I was interested in the idea of The Fall – Maria’s mother is an avid gardener – and exploring the possibility that nothing is ever really Prelapsarian. I consciously sought in Saudade to explore how maternal and daughterly attachment might be bound to language and culture (in particular Goan Catholic culture) and how this bond may be broken in the colonial setting because of racism, gendering and the lingering losses of the migration experience. While writing, it became clear the relationship between Maria and her mother was also a fulcrum for writing about the coming of age and Independence of the colony of Angola. The ‘I’ is observing inside and outside, the domestic and the social spheres, and there is also a triangulation with Maria’s father’s absence. I originally drafted the manuscript in the second person - that second person was the mother - but questions kept arising about where that left the reader. Narrative fiction requires a dynamic movement between the reader and writer too, which a second person narrative can’t generally sustain. So I changed to first-person. Looking back, even that issue of perspective and viewpoint, which appeared to be one of craft, was about how to show a child developing an independent mind and will, and identity in a world that is disintegrating, and how in Maria’s case this may require having to dissolve the maternal and cultural attachments. I was reading theory of attachment at the time – Bowlby, Winnicott, Melanie Klein as well as Lacan, and psychological works about aphasia and speech pathology, such as Alexander Luria’s Memoirs of Mnemonist. I also was reading writers like Jean Rhys, Marguerite Duras, Edna O’Brien and Jamaica Kincaid whose work is strongly invested in memory, desire and mother-daughter relationships. JF: Tell us about the title of the book – where does it come from and what does it refer to, specifically within the book? Could you also say something about the inspiration for this book? SPC: Saudade is an untranslatable word, and an ineffably Portuguese concept; perhaps the closest English meaning is ‘longing for lost things’. It is a literary and artistic term with some aesthetic kinship to fado music (in Portuguese fado means fate). The concept of saudade is thought to have had its origins in the so-called ‘Age of the Discoveries’ when Portuguese sailors were away from and missed their homes and families. Memory, place and unmooring from those one loves are at its heart. In writing this novella, I wanted to reclaim this evocative word and write a riposte to that great 16th century epic of Camões, The Lusiads, which is thought to have been composed in a prison in South Goa - my father’s birthplace. At one point when she is asked her name after arriving as an exile in India, Maria even calls herself Saudade. My Saudade is perhaps an anti-epic, a disaporic exile’s song, a fado re-attuned to the violence of Empire, the ghosts of colonialism, and the haunting dispossessions of the Iberian slave trade. JF: One of the reasons I think your book is such a pleasure to read is the world-building that you do. Pre-Independence Angola comes alive as you mention the ‘white flowers of the moringa, the fuchsia petals of the bougainvillea, the star jasmine and the frangipani’ as well as local food like ‘cones of quitaba’ and the ‘kitetas’ that both Miguel and his father liked to eat ‘though the smell of shellfish drove his mother wild…’ Writing, of course, comes alive with sensory descriptions, grounding the reader in a multi-dimensional world as much as possible. Could you tell us how you created this world? Did you visit Angola and stay there for some time, making notes of your own or did you strictly use desk-based research and interviews? I am gratified that you think so. I did not go to Angola; for various reasons that wasn’t feasible but I read as much as I could about Angola’s history and culture and accounts of the Independence period. The book involved quite a bit of research - down to recipes, song lyrics, topography and linguistic references. I was actually living and studying in the United States at that time. I did go to Lisbon - my first trip coincided with 500 years of ‘The Discoveries’ and John Paul II’s visit if I remember correctly – and I interviewed my Aunt Livia, who had lived in Angola during the years leading up to Independence and who was very generous with her memories and other resources. Not only place, but time was also an important element of setting which I felt an onus to get right. Because Saudade is also historical fiction, an error of fact with time early on in the story could (and did) lead to a series of bigger structural problems (for example, with narrative time frames, character progression etc.) when drafting. When referring to historical incidents - for example, the hijacking of the Santa Maria – I wanted to let them illustrate the story rather than become unwieldy armouries of information. Some historical references are completely invented, such as Agostinho Neto meeting Che Guevara. I’m sure I got more than a few facts and linguistic things I did not mean to wrong! My knowledge of certain things Indo-Portuguese, Goan, and Goan diasporic certainly allowed me to access that kind of information without formal research. Without being too mystical, I think there is an alchemy or transubstantiation of experience involved in fiction writing. Yet I am just as fascinated by the limits of knowing others. What realist fiction uniquely offers us, I think, is a chance to see other worlds intimately through others’ eyes. In Homework, I had already explored Australia from a post-colonial Goan diasporic perspective, so I was deliberately setting out to imagine what might have been, had my biography been different; what would have happened had my parents settled in East or West Africa like so many Goans of the diaspora at an earlier, colonial time. What would have that alternative trade route been like? Maria’s predicament is certainly not my own, but I was keen to place myself in unfamiliar territory and go on the journey with her. JF: Although this was a bildungsroman, your book was fundamentally a story about the Goan diaspora – about migration, being othered and untethered to a place and struggling to find an identity that made one feel like they belonged somewhere familiar. The protagonist doesn’t quite feel at home, especially when she starts to get a sense of friends coming and going through her life, particularly Susana when her family leaves for South Africa. She learns to detach herself from her love for Miguel eventually too, foreshadowing that the inevitable political change afoot in Angola will dislodge people from her life. Later in the book, we see the protagonist’s mother skimming through photo albums, trying to hold onto the past when her present appears to be full of imminent danger. Did you consciously set out to write a story of migration? Rather oddly, it was only when I got to the final line of the book that I understood that this story was just as much about a sense of coming home to oneself through place or ancestry as it was about coming of age. Is that true? Did you intend that for the book? SPC: It is true but I also did not want Maria’s homecoming, to the extent it is one, to seem pat or straightforward. I think Maria describes the ground on which she approaches the old ancestral house in Goa in which she will live as a stranger among her father’s family - and even the foundational Parashurama myth - as ‘quicksand’. So I wanted to refer to the uneasiness of ‘home’ and mythologies of patrimony which may accompany and haunt Maria even in Goa. In 1975, Maria becomes an exile to Goa, which has - since 1961 - become a part of India (I almost said, India has become a part of Goa, but I think that describes what is happening now!). Since 1974, Portugal has also become a democracy. Maria’s father, who is a Portuguese patriot, is a casualty of this tumultuous decolonisation process. With this kind of ancestry and legacy - unable to return to the country of her birth because of civil war, dispossessed by her mother’s brothers of an ancestral property in Goa – Maria’s sense of homeland or ‘return’ is quite simply precarious and fraught. I did not really want there to be an easy end, not to thwart the reader’s expectations, but because it felt untrue. A reader pointed out that almost all characters in Saudade are adrift, immigrants, displaced. Perhaps this is the disruptive consequence of the colonial and postcolonial interface, even for those who want to be wistful or nostalgic or are simply in denial. Women and men of course have different choices in terms of migration in the story and their freedom is also a determinant of class, caste and race. For example, Maria’s wealthy white friends (Susana and Andrea) are migrants with diplomatic or business connections in South Africa which enable them to leave Angola quickly and easily; the Portuguese farmers and working-class settlers such as Miguel become Retornados (The’ Returned’ were Portuguese citizens who, between 1974-1976, took refuge in Portugal following the decolonisation of the African colonies, especially Mozambique and Angola), although they are not necessarily accepted when they ‘go back’ to Portugal; even Maria has some choices although they are quite circumscribed, compared to the black Angolans like Caetano who are dispossessed, indentured and co-opted into a civil war. JF: This is also a historical novel, set in the late sixties and early seventies in Benguela and Luanda. I have never been to Angola, but the descriptions and political moments are written with such depth and confidence that I don’t doubt them. Do you have any fears that they aren’t authentic? Have you had any feedback about your book from people who lived in Angola during that pre-Independence period? If so, what do they say about it? SPC: I have answered some of this above in relation to place and time-making. I did wonder whether not going to Angola, or not sharing Maria’s identity myself, presented an ethical dilemma. And a concern about historical accuracy grew exponentially when, in intervening years, I realised that I could fact check so many things in the text. Suffice to say, Google is not always a writer’s friend …! Apart from my aunt in Lisbon, I did show the manuscript to a Portuguese Angolan, a Retornado who had come as a child, via Brazil, to Australia. He expressed surprise at my having been able to believably capture the sense of the colonial Luanda in which he had grown up, although he did not necessarily agree with Saudade’s portrait of racial oppression. I recently read Leonor Figueiredo’s illuminating Sita Valles: A Revolutionary Until Death and this corroborates quite a bit too as Sita and Maria would have been contemporaries. Authenticity is a much more complex question than accuracy. I am quite comfortable that, in Saudade, I am voicing something to which I don’t make a claim to it being real, articulated from within the boundaries of my own ethnic/cultural background and one of the explicit subjects of the book is the complicity of Goans in Luso-African colonialism and slavery. For instance, the Baixa de Cassanje massacre becomes relevant because Maria’s father is a labour lawyer and a beneficiary of it, not as history per se. I am not pretending anything to profit from or sell the book, and have been honest with myself and others about my creative enterprise. I do believe in the adage, ‘write what you know’ but I also think writers and artists mine what they know to discover what they don’t and vice-versa. When writing a poem, a story, a play, I am trying to make sense of the world and although I work with ‘ideas’ I am not always in charge or fully conscious of where a narrative goes or flows, but directed there by the mysterious, transubstantiating process of writing. And that is not to say there are no choices; there are. Among its many powers fiction can make marginal lives or those that have been historically silenced the basis for a reader’s identification and in that sense can be quite revolutionary. It can present the hidden truths which Maria’s Marxist history teacher refers to - which may not be palatable and which history itself may not give us. That is something I wanted to achieve with Saudade. Hopefully, this widens the range and lens of my own experience, sensibility and world view as a writer and, by corollary, the reader’s. JF: There are moments in this book when you dip into Goan culture, mostly through the mother or the father, for instance when you tell us about her mother teaching her a dekhni or cafreal. Or when you tell us that she was in love with a Hindu boy back in Goa and was finally married off to a wealthy Brahmin family from a neighbouring village, after which she accompanied her new husband to Angola to make his fortune there. These details are handled as light touches throughout the book. At any point, did you feel like there was a longer story to tell, or did you always intend for it to be a novella? SPC: There was a lot of cutting of the manuscript, including an entire second section which was set in Lisbon. My publisher was surprised about how much I had cut between the earliest and last draft! Some of these cuts were intrusive commentary by an older Maria which, I felt, were unnecessarily digressive; they raised questions about the credibility of what she knew at the age she was, whereas I wanted the events and actions to be revealed through her development and growing awareness, rather than to tell about them. Of course I think the backstories of both the mother and father and even Maria’s fate in Goa are interesting; they could have been included but that may have been a different kind of book, told in a different way. I will have to compost that material into something else! JF: You begin the book with the line: “My mother told me that the dead walk backward; she said they try to walk forward but can only walk backward.” You return to this image at various points in the book, and later, we learn that Maria Cristina’s dreams are haunted by the dead. Could you elaborate on the significance of the spectrality you mention in the book? SPC: The imagery of bhoots (Sanskrit: past being), or ghosts from Indian folklore mythology, was present from the beginning. It arose from something I must have heard when I was a child, on a visit to India, and the image just stuck in my mind, this very unnerving concept of a dead person who walks with feet turned backwards. Anatomically, I could not see how that was even possible. Interesting that the bhoots are often female, betrayed by their nasal twang which seduces the one who is unlucky enough to get into a conversation with her. In Saudade, I have paired the concept with bruxa, which is Portuguese African black-magic or witchcraft. Maria is always looking out for the direction of feet to be sure she is not unwittingly carried off to the other world. The image as it recurs in the book is one which suggests disquiet about the past, about history. There are many unresolved deaths in the book as well as the spectres of sailors of ‘The Discoveries’ and slaves. I think even Camões’ ghost makes a cameo! Everyone appears haunted - perhaps this is the other not-too-sweet side of saudade and colonial nostalgia. JF: Can you tell us something about the book cover and what it signifies? SPC: Different ideas were considered, including images of colonial ruins, but the publisher settled on a close up of a guinea fowl’s feather. That bird features in the book and evokes Angola; being black and white, I suppose it also speaks directly to the themes in the book. The North American book cover will be different again. JF: Will you be making Saudade available in India – if so, when can we look forward to it coming out? Where can we buy it from? SPC: Stay tuned - there could very likely be an Indian edition of Saudade. I read from and talked about the book recently in India and that was for me a very moving experience. Saudade is published by Giramondo in Australia and will come out with Transit Books USA & Canada in October 2019. It is available online. JF: Was it a conscious choice to have such a long gap between your first book Homework (1999) and this one, published last year? Please tell us about this gap and about your life as a writer. Is it a full-time occupation for you? Do you have a discipline you adhere to? What are you working on at the moment? SPC: It wasn’t a conscious choice, but I think I was very young when my first novel, Homework, appeared, garnering a lot of publicity which I had not really been prepared for. It is wonderful for a young writer to feel supported but it can also be creatively limiting if one feels one has to write to a formula or perform something of the same commercial ‘success’ – like a horse backed in a race - and I stubbornly resisted that. The first version of Saudade could have been published earlier but the narrative was much less nuanced, so I am glad I waited and grateful that Ivor Indyk at Giramondo still loved the book and re-expressed his wish to publish it many years later. I wrote a number of other things in the intervening years. I also started a PhD on James Joyce. Like many writers and artists, with the advent of the internet and digitisation, I faced the unpleasant reality of struggling to make a living and there was no Harriet Shaw Weaver (Joyce’s English benefactor), to save me. That said, when I was in India recently, I thought what a luxury it was to even be an artist and was amazed to find creativity flourishing under the most adverse conditions, so perhaps there is a lesson there about the life-affirming necessity of art which has nothing to do with Google hits and social media hype. The biggest consideration with regard to any delay or detour on my writing journey has probably been my health, as I suffered for many years from severe endometriosis, which took a long time to be properly diagnosed and treated, despite my having had textbook symptoms. I am very glad to see that things are changing for younger women and they are braver about speaking out. There is no point romanticising what pain does to creative energy – even making it impossible to summon the necessary concentration to enjoy reading. The writer Hilary Mantel wrote a searing memoir, Giving Up the Ghost, about her battle with the disease. These days, I work on social policy projects and balance writing and life with that. I try to write every day (I find morning is best) and keep a notebook or Notes handy on my phone. Having a day job actually helps me structure my writing time when working on something longer and certainly helps pay the bills. I was recently in India, and that was incredibly inspiring for my writing… I am currently working on a novel set in India that brings ideas of migration to bear on the legacies of Independence and Partition. I was fortunate to have received funding from the Copyright Agency Limited and the Australia Council for the Arts to support me with this. Jessica Faleiro has an MA in Creative Writing from Kingston University, UK. Her debut novel Afterlife: Ghost stories from Goa (2012) was followed by The Delicate Balance of Little Lives (2018), a collection of interlinked stories about five Goan women coping with loss. Saudade can be purchased here.